For the forager, the seashore holds surprising culinary potential. In this authoritative, witty book John Wright takes us on a trip to the seaside. But before introducing us to the various species to be harvested, he touches on such practicalities as conservation and the ethics of foraging; safety from tides, rocks and food poisoning; the law and access to the shore, our right to fish, landing sizes and seasons; and equipment such as nets, pots and hooks. 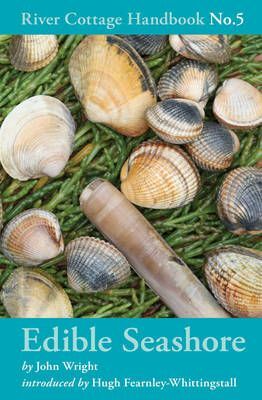 Next comes the nitty-gritty: all the main British seashore species that one might be tempted to eat. From Crustaceans to Seaweeds, from Molluscs to Mushrooms. Finally, there are thirty brilliant recipes. Introduced by Hugh Fearnley-Whittingstall.